The Economist has published a decent eulogy for the Land Rover Defender, with obligatory photo of HM out for a county drive. The Defender is dead! Long live the Defender! 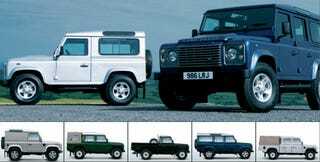 If you have a Defender story, share it below. Or just post pictures of your favourite Defender. Personally, I think the Bowler Defender Challenge 90 looks amazing.